An advanced water based, satin finish that provides a smooth, tough and durable top coat. For use on both interior wood and metal. Approximate coverage 10m2 per litre. 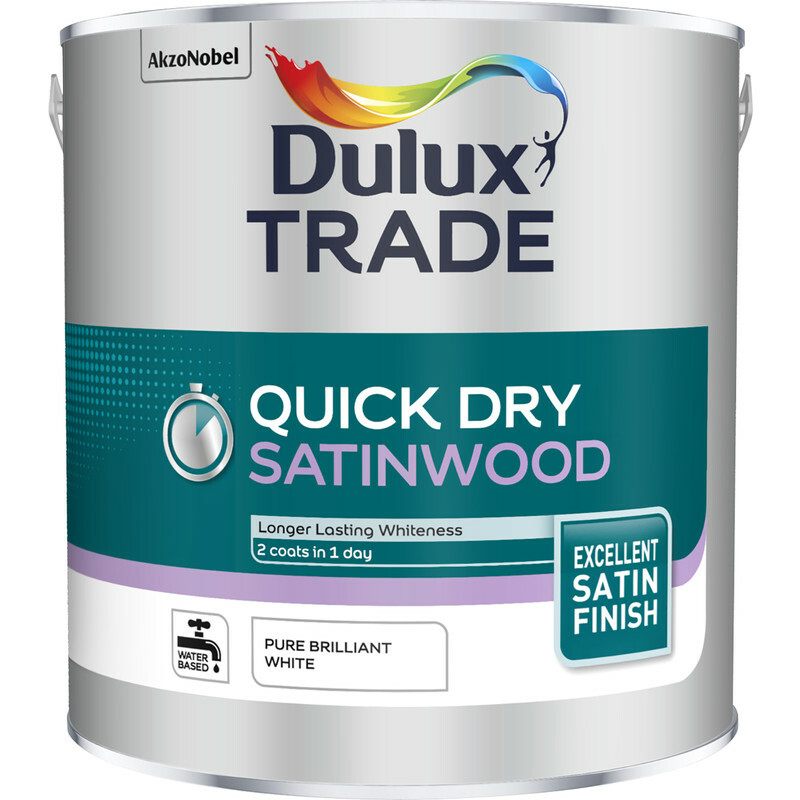 Dulux Trade Quick Dry Satinwood Paint Pure Brilliant White 2.5L is rated 4.2 out of 5 by 25. Rated 1 out of 5 by Jeclan from Never Again Thought we would give Dulux one last try and wish we hadn't. Impossible to get a decent finish. Ended up purchasing an own brand satin gloss elsewhere for a third of the price and gave the woodwork another coat which looked far superior to the Dulux. Dulux really have lost the plot. Don't waste your money on this. Rated 5 out of 5 by DIY Monster 60 from Read the label! Does exactly what it says on the tin! Rated 5 out of 5 by ken by from Does what it should. Pleased with the price compared to other outlets. Paint comes up very white which I like. Brushes easy to clean. Paint easy to apply.